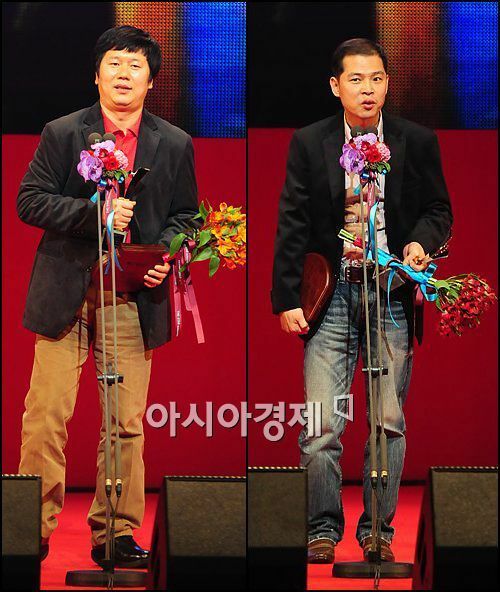 "The film's viewers deserve the thank-yous", said "Old Partner" director Lee Chung-ryoul in his acceptance speech. "And a small thank-you to producer Ko Young-jae". 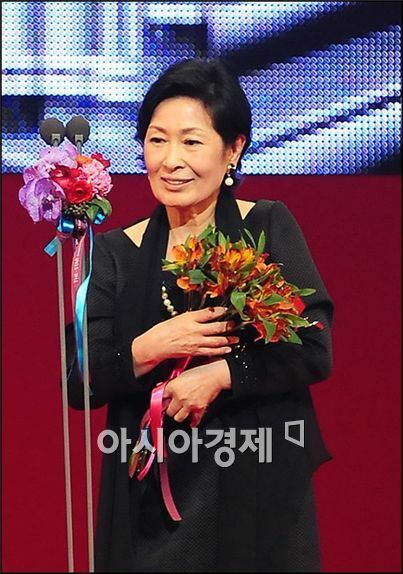 Veteran actress Kim Hye-ja was named best actress for her role in "Mother - 2009" after receiving the most number of votes (210,999 votes) by Korean moviegoers. "Winning this award is incredibly significant because it's based on selection by the audience who love film and enjoy watching movies", the actress was quoted as saying at the ceremony. "My heart feels consoled after receiving an award from the viewers. I am grateful because I got to know my real self after meeting director Bong Joon-ho". Ha too thanked the fans and director Kim Yong-hwa, and commented that he wanted to "share the joy with my co-stars". 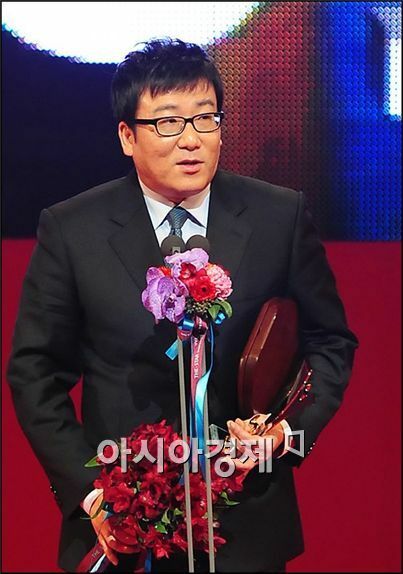 The award for best director went to filmmaker JK Youn of the last summer's biggest blockbuster "Haeundae". Other winners of the night included "Breathless", which was named best independent film and Hollywood blockbuster "2012", which won the prize for best movie trailer. ◆ Best Director : JK Youn, "Haeundae"
◆ Best Actress : Kim Hye-ja, "Mother - 2009"
◆ Best Supporting Actress : Kim Young-ae, "Ae-ja"
Director JK Youn gives an acceptance speech at the 7th Max Movie Awards held at the COEX Auditorium in Seoul, South Korea on February 9, 2010. He won the title of best director at the event for his mega-hit blockbuster "Haeundae" last year. Actress Kim Hye-ja gives her acceptance speech at the 7th Max Movie Awards held at the COEX Auditorium in Seoul, South Korea on February 9, 2010. She won the title of best actress at the event for her role in 2009 film "Mother - 2009". Actor Ha Jung-woo gives his acceptance speech at the 7th Max Movie Awards held at the COEX Auditorium in Seoul, South Korea on February 9, 2010. He won the title of best actor at the event for his role in hit film "Take Off" last year. Seven celebrities on the roster of Namoo Actors, a management agency, including Kim Kang-woo, Kim So-yeon, Moon Geun-young, Lee Kyu-han, Lee Yoon-ji, Jeon Hye-bin and Jo Dong-hyuk, gathered together for a photo shoot for the Love Tree Project and shared their thoughts about charity. The production team of KBS's '1 Night, 2 Days' received an appreciation plaque from Yu In-chon, the Minister of Culture, Sports and Tourism (MCST).